Most of our clients hire a property manager. This is one of the situations where good property managers shine; he or she will identify when a payment is late, liaise with the tenant to find a solution and instigate and follow through with Tribunal hearings and eviction orders if necessary. Even if it’s all being looked after for you, you should understand the legal processes. Even the best tenants can fall on hard times – it’s one of the contingencies we make sure you can afford when we first discuss property investment. Unfortunately, sorting out rental arrears can turn into a protracted, expensive situation when it goes all the way through the system. Note that the process we describe here is valid for Victoria – if your property is in a different state there will be variations. 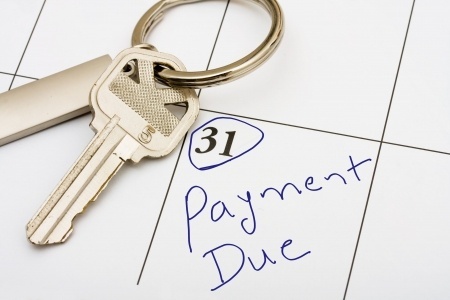 Your property manager notices the payment is late and contacts the tenants quickly to inform them they are in arrears. Hopefully, the tenants pay straight away. If they don’t pay within 14 days your manager may issue a Notice to Vacate to Tenants of Rented Premises. The tenants now have a further 14 days to pay the late rent. At the same time, the manager may start the process of applying to the Victorian Civil and Administrative Tribunal (VCAT) for an Order of Possession (the final eviction notice). Note that the tribunal cannot consider the Possession application before the date for vacant possession in the Notice to Vacate. If the tenants don’t vacate within 14 days of getting the Notice to Vacate, the Tribunal sends the tenants and/or you and your property manager a Notice of Hearing to decide whether the tenants will be issued the Order of Possession. At the hearing, both sides put their case. Tenants often try to show that they can pay, and ask for an adjournment. The Tribunal may adjourn the hearing for three months, effectively putting off the eviction so the tenants can find a way to pay and avoid eviction. If the tenants don’t repay the amount agreed, when the hearing reconvenes, the Tribunal will give the tenants a deadline to move out. If the tenants don’t move out by the deadline, your manager will need to get a Warrant for Possession from the tribunal and go to the Sheriff. A Sheriff’s officer will enforce the warrant by evicting the tenants from the house. If the tenants pay the rent before the Sheriff has enforced the warrant, though, the property manager must inform the Sheriff of the payment (thus, avoiding a $2,200 fine). In this case, the Sheriff can’t enforce the Warrant for Possession. The tenants can now apply for a ‘stay’ of termination. This is a worst case scenario – you can sense the amount of time, effort and money that can be involved in a protracted dispute over lost rent. Most cases never get this far – most of the time a solution can be found where the tenants and the property manager reach a fair compromise. If your property manager comes to you with a proposal for such a compromise, chances are this is the sort of nightmare process he or she is hoping to avoid on your behalf.